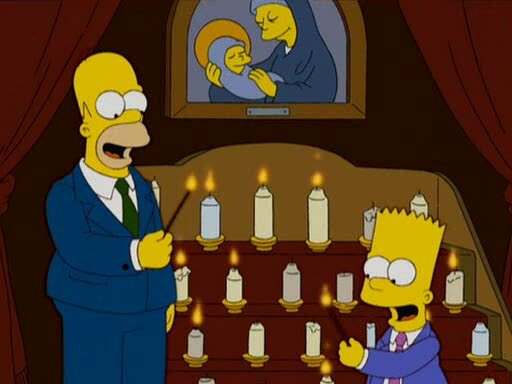 The Vatican declares Homer Simpson a Catholic!! “The Simpsons” just got a blessing from the Vatican! The Simpsons pray before meals, and “in its own way, believes in the beyond,” the newspaper quoted the Jesuit study as saying. It’s the second time the animated U.S. TV series, which is broadcast in 90 countries, has been praised by the Vatican. I am starting to think that the Pope is a fan!